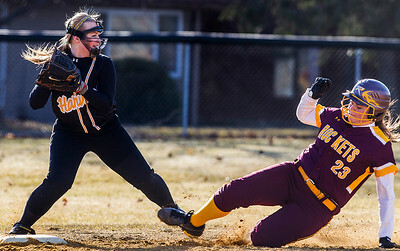 Kyle Grillot - kgrillot@shawmedia.com Harvard's Marley Orr (left) attempts to tag out Richmond-Burton's Grace Schwegel at second base during the fifth inning of the girls softball game Tuesday, April 1, 2014. Richmond-Burton won the game, 14-10. 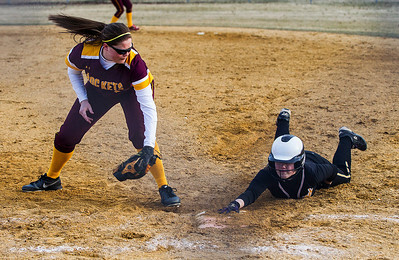 Kyle Grillot - kgrillot@shawmedia.com Harvard's Makayla Stephens (left) tags out Richmond-Burton's Taylor Mell at second base during the fourth inning of the girls softball game Tuesday, April 1, 2014. Richmond-Burton won the game, 14-10. 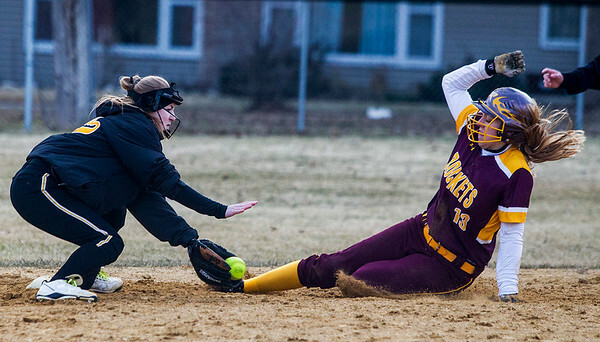 Kyle Grillot - kgrillot@shawmedia.com Richmond-Burton's Taylor Mell attempts to tag out Harvard's Makayla Stephens during the fifth inning of the girls softball game Tuesday, April 1, 2014. Richmond-Burton won the game, 14-10. 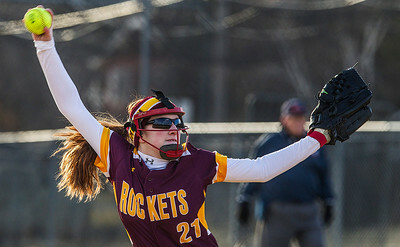 Kyle Grillot - kgrillot@shawmedia.com Richmond-Burton's Rachel Hayden pitches the ball during the fourth inning of the girls softball game Tuesday, April 1, 2014. Richmond-Burton won the game, 14-10. Kyle Grillot - kgrillot@shawmedia.com Harvard's Maty Brincks pitches the ball during the first inning of the girls softball game Tuesday, April 1, 2014. Richmond-Burton won the game, 14-10. 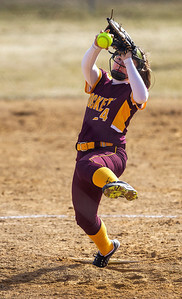 Kyle Grillot - kgrillot@shawmedia.com Richmond-Burton's Andrea Modlin pitches the ball during the second inning of the girls softball game Tuesday, April 1, 2014. Richmond-Burton won the game, 14-10. 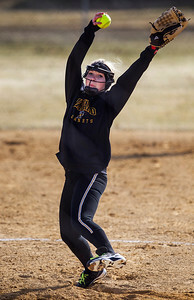 Kyle Grillot - kgrillot@shawmedia.com Richmond-Burton's Andrea Modlin pitches the ball during the first inning of the girls softball game Tuesday, April 1, 2014. Richmond-Burton won the game, 14-10. 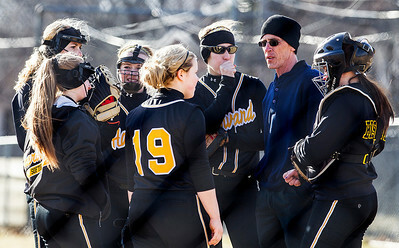 Kyle Grillot - kgrillot@shawmedia.com Harvard head coach Rick Cartwright talks with players at the mound during the third inning of the girls softball game Tuesday, April 1, 2014. Richmond-Burton won the game, 14-10. 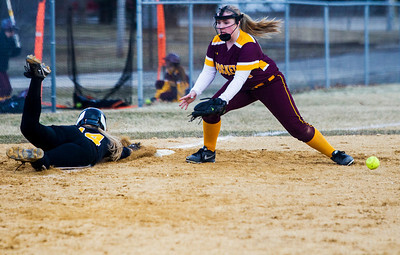 Kyle Grillot - kgrillot@shawmedia.com Harvard's Cheyenne Trebes slides safely back to third base as Richmond-Burton's Haylie Regnier attempts to tag her out during the sixth inning of the girls softball game Tuesday, April 1, 2014. Richmond-Burton won the game, 14-10. 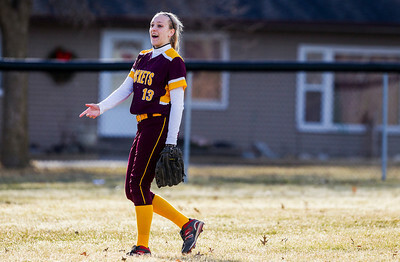 Kyle Grillot - kgrillot@shawmedia.com Richmond-Burton's Grace Schwegel reacts after catching a fly ball during the third inning of the girls softball game Tuesday, April 1, 2014. Richmond-Burton won the game, 14-10. 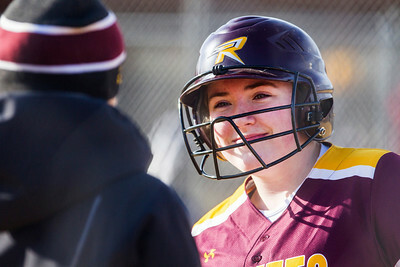 Kyle Grillot - kgrillot@shawmedia.com Richmond-Burton's Haylie Regnier (right) talks with head coach Stephanie Rasmusen before batting the third inning of the girls softball game Tuesday, April 1, 2014. Richmond-Burton won the game, 14-10. Kyle Grillot - kgrillot@shawmedia.com Harvard's Sam McCloud reacts after missing a pass during the first inning of the girls softball game Tuesday, April 1, 2014. Richmond-Burton won the game, 14-10. Kyle Grillot - kgrillot@shawmedia.com The Richmond-Burton team celebrates after senior Taylor Mell hit a home run during the second inning of the girls softball game Tuesday, April 1, 2014. Richmond-Burton won the game, 14-10. 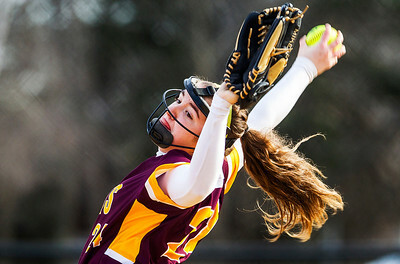 Richmond-Burton's Andrea Modlin pitches the ball during the first inning of the girls softball game Tuesday, April 1, 2014. 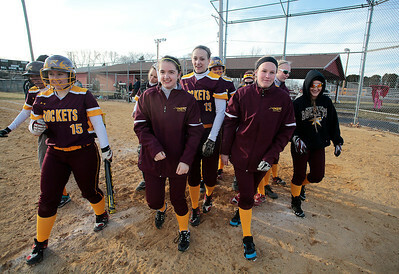 Richmond-Burton won the game, 14-10.